Use code "FALLSPECIAL" for 25% off all our Oct and Nov classes! Cost: Basic Class Experience $110, Deluxe Class Experience $150, Gourmet Class Experience $200 (discounts available). To RSVP, select your option above! Our most popular offering, Sushi By Simon's "Basic" class covers all the skills needed to make maki sushi with a menu of tuna, salmon, avocado and cucumber. learn how to make sushi for an affordable price! Sushi By Simon's offering of a "Deluxe" package teaches all the skills needed to make maki sushi- rolls, and temaki (handrolls), including how to make sushi rice, with additional, gourmet neta (ingredients), including masago, shiso and burdock, to enhance your dining experience. It also includes a ceramic soy sauce bowl and a Sushi By Simon apron, for you to use and take home as practical mementos. Sushi By Simon's "Advanced" class reviews all the skills needed to make maki and temaki sushi and adds nigiri and sashimi skills to your repertoire. This class is ideal for anyone who's taken our Basic, Deluxe or Gourmet class and wants to take it to the next level, but is open to all who are adventurous of spirit! Sushi By Simon's "Gourmet" class or package covers all the skills needed to make maki sushi, Rainbow Rolls and handrolls (temaki), with a wide variety of exotic ingredients, including yellowtail and crabstick, to take your dining experience to another level. It also includes a ceramic soy sauce bowl and a Sushi By Simon apron, for you to use and take home as practical mementos. * Cancellation Policy : All sales are final. Cancellations made for genuine emergencies will be considered on a case by case basis and must be made 1 week prior to the scheduled class in order to be considered for credit towards a future class. Later cancellations can not be honored due to logistical needs. Classes are held dependent on minimum sign up threshold. Low sign-up may result in cancellation.. 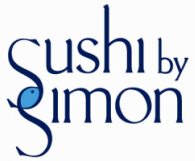 Refunds are always offered if a class date is cancelled by Sushi By Simon.